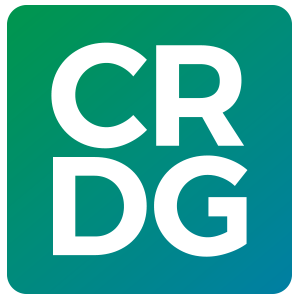 CRDG made the following contributions to the body of professional knowledge in teaching and learning, curriculum development, and assessment and evaluation in 2004. Baumgartner, E. P., & Zabin, C. (2004). Student-scientist partnerships fill multiple needs. Middle Matters, 13(2). Berg, K. F. (2004). Beginning a new partnership: Professional development school—Master of Education in Teaching style. Journal of In-service Education, 30(3), 429–441. Brandon, P. R., & Higa, T. H. (2004). An empirical study of building the evaluation capacity of K–12 site-managed project personnel. Canadian Journal of Program Evaluation, 19(1), 125–142. Brandon, P. R. (2004). Conclusions about frequently studied modified Angoff standard-setting topics. Applied Measurement in Education, 17, 59–88. Dougherty, B. J., Heid, M. K., d’Ambrosio, B., Reys, R., DeLoach-Johnson,I., Gutstein, E., & Hala, M. (March, 2004). An agenda for research action in mathematics education: Beginning the discussion. Journal for Research in Mathematics Education, 35(2), 74–80. Pottenger, F. M. III, Son, Y. A., Joo-Hoon Kim, J. H., Hyun-Ju Park, H. J. (2004). Engineering Theory: A Conversational Bridge Between Theoreticians and Practioners in Discussion of Curriculum Development and Dissemination as Used in the DASH Program. Journal of the Korean Association for Research in Science Education, 24(4), 758–773. Alvarez, P., Speitel, T. W., & Inouye, B. (2004). Southeast Asian Music, Dance, and Theater DVD. Honolulu: Curriculum Research & Development Group. Alvarez, P. A., Speitel, T. W., Nguyen, T., & Inouye, B. (2004). Values for a Democratic Society DVD ROM. Gardena, California: Go for Broke Foundation. Gray, M., Speitel, T. W., Inouye, B., Sosso P., & Nguyen, T. (2004). FAST Electronic Resource DVD-ROM. Honolulu: Curriculum Research & Development Group. Dougherty, B. J. (2004). A toolkit approach: An elaborated Davydov model. In Stacey, K., Chick, H., and Kendal, M. (Eds. ), The Future of the Teaching and Learning of Algebra, The 12th ICMI Study (International Commission on Mathematical Instruction) (pp. 71–96), Norwell, MA: Kluwer Academic Publishers. Dougherty, B. J. (2004). Perspective. [Introduction for The Missouri Mathematics Effectiveness Project: An Experimental Study in Fourth-Grade Classrooms, Good and Grouws]. In Carpenter, T. P., Dossey, J. A., & Koehler, J. L. (Eds. ), Classics in Mathematics Education Research (p. 16). Reston, VA: National Council of Teachers of Mathematics. Afaga, L. (2004). Project hiikulea, A 21st century community learning centers, Waianae complex, Hawaii Department of Education, implementation evaluation report, 2003–2004, Year 2. Honolulu: University of Hawai‘i at Mānoa, Curriculum Research & Development Group, Program Research & Evaluation Office. Afaga, L. (2004). An evaluation of the Physics, Physiology, & Technology 2004 summer teacher workshops. Honolulu: University of Hawaii at Mānoa, Curriculum Research & Development Group, Program Research & Evaluation Office. Afaga, L., (2004). An evaluation of the Malama I Ka Aina project. Honolulu: University of Hawai‘i at Mānoa, Curriculum Research & Development Group, Program Research & Evaluation Office. Brandon, P. R., & Linke, L. H. (2004). Internal evaluation of Education Laboratory School for School Year 2003–04 (Report No. 2003–04/1). University of Hawai‘i at Mānoa, Curriculum Research & Development Group, Program Research & Evaluation Office. Brandon, P., Lawton, B., & Krohn-Ching, W. (2004). Evaluation of the first year of the ARTS FIRST windward research project. Honolulu: University of Hawai‘i at Mānoa, Curriculum Research & Development Group, Program Research & Evaluation Office. Brandon, P. R., & Lawton, B. (2004). Student achievement results for the ARTS FIRST windward research project: Addendum to the report, “Evaluation of the first year of the ARTS FIRST Windward Research Project.” Honolulu: University of Hawai‘i at Mānoa, Curriculum Research & Development Group, Program Research & Evaluation Office. Brennan, C. A. (2004). DASH for RMI, Teacher’s Guide for Grade 1. Honolulu: Curriculum Research & Development Group. Brennan, C. A. (2004). DASH for RMI, Teacher’s Guide for Grade 2. Honolulu: Curriculum Research & Development Group. Brennan, C. A. (2004). DASH for RMI, Teacher’s Guide for Grade 3. Honolulu: Curriculum Research & Development Group. Brennan, C. A. (2004). DASH for RMI, Teacher’s Guide for Grade 4. Honolulu: Curriculum Research & Development Group. Brennan, C. A. (2004). DASH for RMI, Teacher’s Guide for Grade 5. Honolulu: Curriculum Research & Development Group. Brennan, C. A. (2004). DASH for RMI, Teacher’s Guide for Grade 6. Honolulu: Curriculum Research & Development Group. Brennan, C. A. (2004.) PREL Report: RMI DASH institute July 21-August 4, 2004. Honolulu: Curriculum Research & Development Group. Brennan, C. A. (2004). PREL Report: RMI classroom observations, April 2004. Honolulu: Curriculum Research & Development Group. Dougherty, B. J. & Slovin, H. (2004). Generalized diagrams as a tool for young children’s problem solving. In M. Johnsen-Hoines & A. B. Fugelstad, Proceedings of the 2004 Psychology of Mathematics Education, Volume 2 (pp. 2-295 –2-302). Bergen University College, Bergen, Norway. Dunn, H. H., Lai, M. K., & Kishi, G. (2004). Pihana Nā Mamo grant performance report, April 11, 2003 – April 10, 2004. Honolulu: University of Hawai‘i, College of Education, Curriculum Research & Development Group. Harpstrite, J., Kathleen Berg , et al. (2004). Report of recommendations regarding evaluating and updating the Hawaii Department of Education competency-based high school diploma program (CBHSDP). Honolulu: University of Hawaii Curriculum Research & Development Group. Harpstrite, J. (2004). Civic education in contemporary Russia, In Proceedings of the 2004 Pacific Circle Consortium Conference on Civic Education, Hong Kong, School of Foundations in Education, The Hong Kong Institute of Education. Higa, T. F. (2004). A year-1 report about Ko`olauloa: the Kahuku complex’s 21st century community learning center project in school year 2003–2004. Honolulu: University of Hawai‘i at Mānoa, Curriculum Research & Development Group, Evaluation Office. Lai, M. K., & York, S. E. (2004). SPARK-Hawai‘i year 1 evaluation report. Honolulu: University of Hawai‘i, Curriculum Research & Development Group. Menton, L. 2004. Hawaiian Journal of History. Associate Editor. Sjostrom, M. P. (2004). Teaching efficacy and attributions for student failure. In McDougall, D.E., & Ross, J.A. (Eds.). Proceedings of the twenty-fourth annual meeting of the North American Chapter of the International Group for the Psychology of Mathematics Education (Vol. II, pp. 909–916). Toronto: OISE/UT. Slovin, H. & Dougherty, B. J. (2004). Children’s conceptual understanding of counting. In M. Johnsen-Hoines & A. B. Fugelstad, Proceedings of the 2004 Psychology of Mathematics Education Volume 4 (pp. 4–209–4–216). Bergen University College, Bergen, Norway. Watson, R. L, Bigos, L., Chow, M., Jackson, B. T., Kalbus, J., & Young, D.B. (2004). An analysis of internationalization: from vision to practice: second year of a two-year study. Report of the ASCD Review Council. Alexandria, VA: Association for Supervision & Curriculum Development. Dougherty, B. J., Okazaki, C., & Zenigami, F. (2004). Measure up: Grade 4, Draft materials. Honolulu: Curriculum Research & Development Group. Dougherty, B. J., Okazaki, C., & Zenigami, F. (2004). Measure up: Grade 3, Draft materials. Honolulu: Curriculum Research & Development Group. Dougherty, B. J., Zenigami, F., Okazaki, C., & Slovin, H. (2004). Measure up: Grade 2, Draft materials. Honolulu: Curriculum Research & Development Group. Dougherty, B. J., Okazaki, C., Zenigami, F., & Venenciano, L. (2004). Measure up: Grade 1. Honolulu: Curriculum Research & Development Group. Kleinjans, D., Pottenger, F. M. III, and Carpenter, S. (2004). Physics, Physiology, and Technology, Version A. Honolulu: University of Hawai‘i, Curriculum Research & Development Group. Kleinjans, D., Pottenger, F. M. III, and Carpenter, S. (2004). Physics, Physiology, and Technology, Version B. Honolulu: University of Hawai‘i, Curriculum Research & Development Group. Baumgartner, E. & Zabin, C. Student Monitoring of Intertidal Biodiversity. Hawaii Community Foundation. $600. 2004. Brandon, P. R., Principal Investigator, and Young, D. B., co-Principal Investigator. Phase-I Study of the effects of professional development and long-term support on curriculum implementation and scaling-up. National Science Foundation. $1,102,161. 2003–2006. Brandon, P. R. ARTS FIRST windward research project. U. S. Department of Education (via a subcontract with the Hawai‘i Alliance for Arts Education). $345,000. 2003–2006. Brandon, P. R. Waianae Community Learning Center evaluation. Hawai‘i Department of Education. $43,000. 2003–2004. Brandon, P. R. Evaluation of Physiology, & Technology 2004 Summer Teacher Workshops. U.S. Department of Education via a subcontract with University of Hawai‘i at Mānoa, Physics and Astronomy Department. $2,000. 2004. Brandon, P. R. Evaluation of the Malama I Ka Aina Project U. S. Department of Education via a subcontract with University of Hawai‘i at Mānoa, College of Education. $50,971. 2004. Dougherty, B. J. Measure Up. H. K. Castle Foundation. $150,000. 2004. Dougherty, B. J. Measure Up. Cecilia Lee Foundation. $25,000. 2004. Dougherty, B. J. Measure Up. E. R. Quady Foundation. $25,000. 2004. Dougherty, B. J. Mathematics and Science Consortium. Pacific Resources for Education and Learning. $170,000. 2004. Lai, M. K. U.S. Department of Education. Pihana Nā Mamo: The Native Hawaiian Special Education Project (fourth and fifth of five years). $6,200,000. 2003–2005. Lai, M. K., & Berg, K. F. Kamehameha Schools. Proposal to Support INPEACE’s Evaluation of Supporting Partnerships to Assure Ready Kids (SPARKS). $35,000. 2004–2005. Menton, L. U.S. Department of Education. Instructional Materials on East Asia for Secondary Students. $456,321. 2004–2007. Menton, L. Japan United States Friendship Commission. Cross Currents Project. $57,500. 2004–2005. Menton, L. East Asia Council, Center for Japanese Studies, UHM. Cross Currents project. $5,000. 2004. Okazaki, C. H. & Zenigami, F. University of Hawaii College of Education. Measure Up—Leaving No Teacher Behind. $35,840. 2004. Pottenger, F. M. U.S. Department of Agriculture with Purdue University. Research-centered Web-based Student Communities: Multidisciplinary Approach for Adolescent Obesity Prevention. $234,556. 2004–2005. Saka, S. M. Hawai‘i Department of Education. Hawai‘i School Youth Risk Behavior Survey. $24,965. 2004. Saka, S. M. Kamehameha Schools. Tabulation–Hawai‘i Youth Risk Behavior Survey Data. $11,000. 2004. Saka, S. M. Hawaii Department of Health. Hawai’i School Health Surveys-2003. $184,540. 2003–2004. Saka, S. M. Hawaii Department of Health. Hawai’i Nutrition Education and Training Needs Assessment Survey, $47,180. 2003–2005. Saka, S. M. Hawai‘i Department of Education. 2003 Youth Risk Behavior Survey Analysis and Report. $24,965. 2004–2005. Young, D. B. Hawai‘i Association of Independent Schools. Studying the Teacher Shortage Situation in Hawai‘i. $27,250. 2003–2004. Young, D. B. Hawaii Department of Education. Education Laboratory School: A New Century Public Charter School. $2,067,123. 2003–2004. Young, D. B. & Baumgartner, E., Co-Principal Investigators National Science Foundation. The GK–12 Program in Hawai‘i: Using Native Biota for Science Education. $1.482,270. 2003–2006. Young, D. B. National Science Foundation with Stanford University. Embedding Assessments in the FAST Curriculum: On Beginning the Romance among Curriculum, Teaching and Assessment. $308,672. 2001–2004. Young, D. B. Hawaii Department of Education. Education Laboratory School: A New Century Public Charter School. $2,090,050. 2004–2005. Young, D. B., & Berg, K. F. Hawai‘i Department of Education. CRDG Proposal to Assist the Hawai‘i Department of Education in Evaluating and Updating the Competency-Based High School Diploma. $8,000. 2004. Acord, Suzanne. Teaching Political Ideas: Chinese Revolutionary Opera and Japanese Kami Shibai. Honolulu: Hawai‘i International Conference on Education. January 2004. Alvarez, P. A. Back In Focus: Restoring Lives to the History Classroom. Honolulu: Brown Bag Biography Series, Center for Biographical Research, UH Mānoa, March 2004. Alvarez, P. A. Workshop, China: Understanding Its Past. Honolulu: Hawaii International Conference on Education, January 2004. Baumgartner, E. Training scientists to effectively communicate with K–12 students and teachers. Seattle: American Association for the Advancement of Science Annual Meeting Forum for School Science. February 2004. Baumgartner, E., Zabin, C., & Young, D. B. Shaping Powerful Learning with Student-Scientist Partnerships. New Orleans: 2004 Annual Meeting of the Association for Supervision and Curriculum Development. March 2004. Baumgartner, E., Zabin, C., Ulep, K., & Trias, R. Between Hawaiian Tides: A Suprising Diversity in Oahu’s Intertidal. Honolulu: Hawaii International Conference on Education. January 2004. Baumgartner E., Zabin, C. Vest, C. Ho, B. Pedrina, K., Ing, C. & Wu, J. Surprising Numbers of Invaders in Oahu’s Intertidal. Honolulu: Hawaii Conservation Conference, July 2004. Berg, K. F. The Hawai‘i Informed Prevention System (HIPS): An Effective Use of Data to Promote School Safety. Honolulu: Hawaii International Conference on Education, January 2004. Brandon, P. R. What methods best support evaluative judgments? Atlanta: American Evaluation Association, plenary session chairperson, 2004. Brandon, P. R. How does the federal government influence the nature of the evaluation profession? Atlanta: American Evaluation Association plenary session chairperson, 2004. Brandon, P. R., Young, D. B. Taum, A., Gray, M., Speitel, T. W., Pottenger, F. M., Scarlett, T., & Lawton, B. Phase-I study of the effects of professional development and long-term support on program implementation and scaling up. Washington, D.C.: National Science Foundation Principal Investigators’ meeting. Brandon, P. R. Using test standard-setting methods in program evaluation. Honolulu: American Psychological Association, July 2004. Brennan, C. A. Technology, The Hands-On of Elementary Science. Atlanta: National Science Teachers Association, April 2004. Brennan, C. A. Concept Mapping for All Kinds of Learners. Atlanta: National Science Teachers Association, April 2004. Brennan, C. A. Gyotaku for Elementary Students. Atlanta: National Science Teachers Association, April 2004. Brennan, C. A. DASH. Mystic, CN: CN Science Curriculum Showcase sponsored by ASCD, November 2004. Dougherty, B. J. & Slovin, H. Generalized diagrams as a tool for young children’s problem solving. Bergen, Norway: International Meeting of the Psychology of Mathematics Education, July 2004. Dougherty, B. J. Measure Up: Multiplicative Structures. Bergen, Norway: Presentation to the Early Algebra Working Group, Psychology of Mathematics Education International Meeting, July 2004. Dougherty, B. J. Measure Up: A Quantitative View of Algebra for Young Children. Copenhagen, Denmark: Presentation for the Algebra Working Group, International Congress of Mathematics Education, 2004. Dougherty, B. J., & Slovin, H. Measure Up: A Research Approach to Elementary Mathematics. Philadelphia: Research Presession of the National Council of Teachers of Mathematics Annual Meeting, April 2004. Harpstrite, J. High-tech, Student-centered Teacher Education. Hyogo University, [serial online], 2004. Available from http:// www.ceser.hyogo-u.ac.jp/naritas/ colloquium2004/kimono/Japan2004.pdf. Kelly, M. K. and Young, D. B. Science achievement at Kamehameha Schools: What can we learn from TIMSS performance assessments? Keaau, HI: Kamehameha Schools 2004 Research Conference on Hawaiian Well-being, October 2004. Lai, M. K., Yap, M., & Dunn, H. Culturally Appropriate Evaluation Methods & the Use of Mo‘olelo (Stories). Kea`au, HI: Kamehameha Schools 2004 Research Conference on Hawaiian Well-being, October 2004. Lai, M. K., Cram, F., Kawakami, A. J., & Aton, K. How can indigenous values and methods improve the practice of evaluation? Decolonizing evaluation practice: Returning the gaze. Atlanta: American Evaluation Association, panel presentation. 2004. Lush, N., & Acord, S. Using Cross Currents, a Digital Web-Based Multimedia Resource, with Secondary School Students. Honolulu: Center for Japanese Studies, University of Hawaii, November 2004. Menton, L. K. Promoting Democracy in Occupied Japan: Teaching the Japanese People About the 1947 Constitution. Hong Kong: Pacific Circle Consortium Annual Conference, April 2004. Menton, L. K. & Alvarez, P. Extraterritoriality: Past and Present. Honolulu: Hawaii International Conference on Education, January 2004. Menton, L. K. Promoting Democracy in Occupied Japan: The 1947 Constitution. Tokyo: East West Center Association International Conference, August 2004. Menton, L. K. Public High Schools in Hawaii: A Historical Perspective. Honolulu: Hawaii Educational Research Association, April 2004. Menton, L. K. Missionaries in Hawaii 1820–1840. Honolulu: for students from Luther College, Decorah, Iowa., January 12, 2004. Okazaki, C. An Overview of Measure Up: Algebraic Thinking through Measurement. Philadelphia: NCTM National Conference, poster session, April 2004. Okazaki, C. Panel member, Calling All Teacher Researchers! Interactive Help from the NCTM Research Committee. Philadelphia: National Council of Teachers of Mathematics (NCTM) Research Council, April 2004. Pottenger, F. M. Education Laboratory School and its Science Section Programs and Projects. Honolulu: Hawaii International Conference on Education, January 2004. Pottenger, F. M., & Brennan, C. B. What Are the Lasting Effects of Summer Professional Development Programs? Atlanta: National Science Teachers Association, April 2004. Pottenger, F. M. Civic Education for the Information Age (CEIA) Project Retrospective and Thoughts. Hong Kong: Pacific Circle Consortium 28th Annual Conference, April 2004. Saka, S., Using Data: Examples from the Youth Risk Behavior Survey (YRBS). Honolulu: Hawai‘i Department of Education 5th Annual Health Celebration Conference, November 2004. Saka, S., & Lai, M. Comparison of Hawaiian and Non-Hawaiian Public Middle and High School Students’ Responses Related to Risky Behaviors: Results from the 1997, 1999, and 2001 Hawai‘i Youth Risk Behavior Surveys (YRBS). Kea‘au, HI: Kamehameha Schools 2004 Research Conference on Hawaiian Well-being, October 2004. Saka, S. M. Large-scale, Coordinated Surveys Administration: Lessons Learned. Atlanta: at the American Evaluation Association, roundtable presentation, November 2004. Shimabukuro, S. K., & Pottenger, F. M. III. Essence of DASH, Grades K–6. Honolulu: Hawaii Interactive Television System. 2003–2004. Shimabukuro, S. K., & Pottenger, F. M. III. Grade K–3 Advancing Standards Using the Developmental Approaches in Science, Health, and Technology (DASH) Program. Honolulu: Hawaii Interactive Television System. 2004. Shimabukuro, S. K., & Pottenger, F. M. III. Grade 4–6 Advancing Standards Using the Developmental Approaches in Science, Health, and Technology (DASH) Program. Honolulu: Hawaii Interactive Television System. 2004. Sjostrom, M. P. Teaching efficacy and attributions for student failure. Toronto: International Group for the Psychology of Mathematics Education, North American Chapter, October 2004. Sjostrom, M. P. The Write Way to Mathematics Learning: Math Journal Prompts. Philadelphia: National Council of Teachers of Mathematics, April 2004. Sjostrom, M. P. Learning to Write/Writing to Learn: Using Mathematics Journal Prompts to Enhance Student Learning. Philadelphia: National Council of Supervisors of Mathematics, April 2004. Slovin, H., & Dougherty, B. J. Children’s conceptual understanding of counting. Bergen, Norway: International Meeting of the Psychology of Mathematics Education. July 2004. Slovin, H. Measure Up: A Research Perspective on Algebra for Young Children. Philadelphia: National Council of Teachers of Mathematics (NCTM) Research Pre-session, April 2004. Slovin, H., & Venenciano, L. Shaping the Learning Environment By Starting the School Year in a Mathematical Frame of Mind. Philadelphia: National Council of Supervisors of Mathematics, April 2004. Slovin, H., & Venenciano, L. From intuition to proof–making mathematics accessible to all students. Philadelphia: National Council of Teachers of Mathematics, PA, April 2004. Slovin, H. Children’s conceptual understanding of counting. Bergen, Norway: International Meeting of the Psychology of Mathematics Education. July 2004. Southworth, J. H., & Hapai, M. Distance Learning – Enrichment (DL-E): Valuable Key to Classroom Technology Integration. Location: National Science Teachers Association (NSTA), March 2004. Taum, A. K., Reveles, C., Hilberg, S., & Estrada, P. Teaching Alive! A sociocultural approach to teaching language and literacy. Zuni, NM: presented at A:Shiwi Elementary School, November, 2004. Taum, A. K., Wyatt-Beck, T., & Yamauchi, L. A. Using a teacher study group to promote enactment of the Five Standards for Effective Pedagogy in a culturally relevant high school program. Honolulu,: Hawai‘i Educational Research Association Conference, April 2004. Taum, A. K., & Wyatt-Beck, T. Making Meaning: connecting school to Hawaiian students’ lives. Honolulu: Kamehameha Schools Research Conference on Hawaiian Well-Being, October 2004. Taum, A. K. The Hawaiian Studies Program: A successful model of community involvement. Zuni, NM: presented at A:Shiwi Elementary School, November 2004. Yamauchi, L. A., Taum, A. K., & Wyatt-Beck, T. The effects of a professional development study group on teachers’ enactment of the Five Standards for Effective Pedagogy. San Diego, CA: Paper presented at the meeting of the American Educational Research Association, April 2004. Young, D. B., & Pottenger, F. M. Foundational approaches in science teaching (FAST), an enduring curriculum: its theoretical and pedagogical foundations. Orono, ME: 2004 Summer Conference: Integrating Science and Mathematics Education Research into Teaching. June 2004. Young, D. B., & Pottenger, F. M. Introduction to FAST: teaching science as inquiry. Orono, ME: 2004 Summer Conference: Integrating Science and Mathematics Education Research into Teaching. June 2004. Young, D. B. FAST professional development: an essential component to success. Orono, ME: 2004 Summer Conference: Integrating Science and Mathematics Education Research into Teaching. June 2004. Young, D. B. FAST, an enduring curriculum: data on effectiveness. Orono, ME: 2004 Summer Conference: Integrating Science and Mathematics Education Research into Teaching. June 2004. Young, D.B., & Beer, R. Foundational approaches in science teaching: teaching science as inquiry. Orono, ME: 2004 Summer Conference: Integrating Science and Mathematics Education Research into Teaching. June 2004. Young, D. B. Standards, accountability, and the curriculum. Honolulu: League of Women Voters Marion G. Saunders Memorial Forum. August 2004. Zenigami, F., Okazaki, C., & Thatcher, P., Helping Teachers Measure Up to Teaching Innovative Mathematics Programs: A Professional Development Model from Workshop to Implementation. Philadelphia: National Council of Supervisors of Mathematics (NCSM) National Conference, April 2004. Zenigami, F. Explorations in Algebra: Activities to Promote Student Understanding. Philadelphia: National Council of Teachers of Mathematics, April 2004. Waldtraut (Val) Krohn-Ching was named Hawai‘i Art Educator of the Year for 2004 by the National Art Education Association (NAEA). Barbara Dougherty was named Chair of the Research Committee, National Council of Teachers of Mathematics.